When I went gluten free I stopped eating in restaurants entirely. It has been nearly 3 years now. Originally I stopped dining out because I did not know what restaurants offered gluten free options. By the time I had done the research to find out I had realized how sensitive I am to any sort of contamination. I am sensitive enough that if I get even the tiniest crumb of something on a plate I will have a reaction. I pretty much immediately get a headache that starts on my forehead right in between my eyes. This lasts for 20-30 minutes then turns into a full migraine with nausea and light and sound sensitivity. This lasts anywhere from one hour to four hours depending on how soon I catch it. Within the next day or so I start having digestive issues. For the next two weeks I suffer from severe brain fog and anxiety. This sort of reaction is not something I am willing to risk by eating in restaurants. Most of the time I don’t miss the luxury of restaurants but I certainly have my days. Especially recently. This past weekend my parents left to go back to New York. Before they went we wanted to get together. We decided to go to a restaurant. Originally I was just going to go and sit and talk with them. Definitely not planning on eating. After a little debating I decided to bring my own food so I could eat while they were. This is something I feel sort of weird about. I am never sure how people at restaurants are going to react to me bringing my own meal. No one at the restaurant said anything about it which was a relief. The only problem I encountered that night was remembering how much I enjoyed the social setting of eating out. I never knew how much I missed it. So now that I remember what I am missing I am trying to decide how to move forward. I would love to be able to go out to have dinner with friends but I still feel weird about bringing my own food. I know I can’t eat in a restaurant that has any chance of contamination, I have yet to find an entirely gluten free restaurant in Colorado, but I am not sure that I am willing to miss out on things like this anymore. I would love to hear about your experiences with dining out. Do you do it? If so do you worry about contamination? How has this sort of thing affected your life? Here is an article I stumbled across about the cost of gluten free living. Anyone on this diet knows that it is significantly more expensive than any other diet. Being gluten free requires being smart about your grocery spending. “The fall 2008 issue of the Canadian Journal of Dietetic Practice and Research recently published the findings of a study designed to assess the differences in the costs of gluten-free foods compared to “regular” foods. Anyone on a gluten-free diet knows that a gluten free diet costs more than a traditional diet. But how much more? You may want to sit down. The study was conducted by the Dalhousie University Medical School, Division of Gastroenterology and Nutrition, Department of Pediatrics. University researchers compared the unit cost of 56 gluten-free foods and “comparable gluten-containing foods” from the same food group at two large grocery chains in Halifax, Nova Scotia. Unit costs per 100 grams of food were calculated in dollars. Gluten-free foods, on average, cost a whopping 242% more than regular, gluten containing foods! What can you do to avoid the exorbitant cost of gluten-free foods? I went to New York a couple years ago and found Tinkyada Jumbo Shell pasta. To this day I still cannot find the jumbo shells in Colorado. So long story short, yesterday I had a craving for stuffed shells, with one minor problem, I can’t find the shells. So I decided to get creative. I bought the Tinkyada lasagna pasta and figured I could do something with it. Here is the recipe for my lasagna rolls, as I have decided to call them. 2 Applegate Farms sweet italian sausage. Cook the sausage and chop up. Take one piece of pasta, put some of the veggies and sausage in the middle and roll it up. Repeat until all pasta and veggies are used. 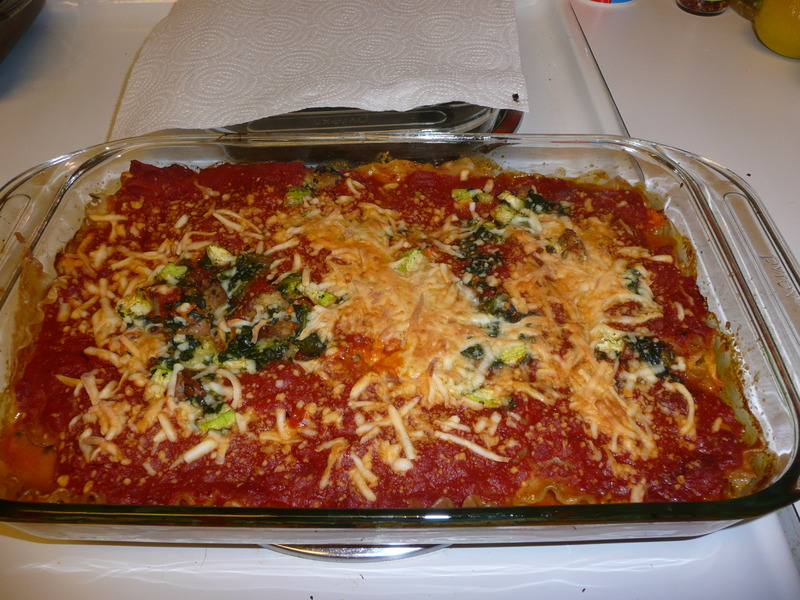 Cover with sauce and sprinkle cheese on top. 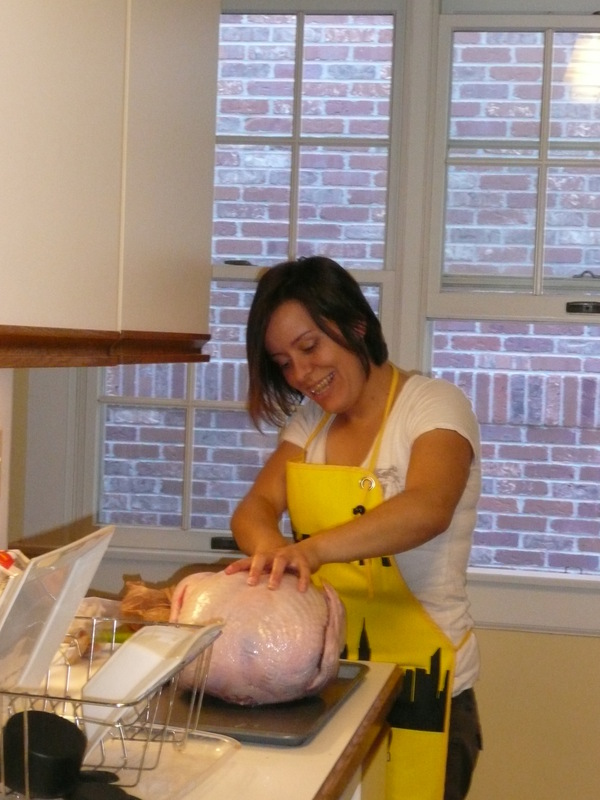 I know I am a little late writing about Thanksgiving, but I think it is worth a little post. I am pleasantly surprised at how well my Thanksgiving turned out.Not only did the food turn out great, but it was a real turning point for me family. As you may know from an earlier post I have had issues with my family understanding my gluten allergy. It has always been a problem, or a big hassle. Last years Thanksgiving was pretty much disastrous. Everyone complained about the food I made the entire time. The fact that it was all gluten free was a joke to them. 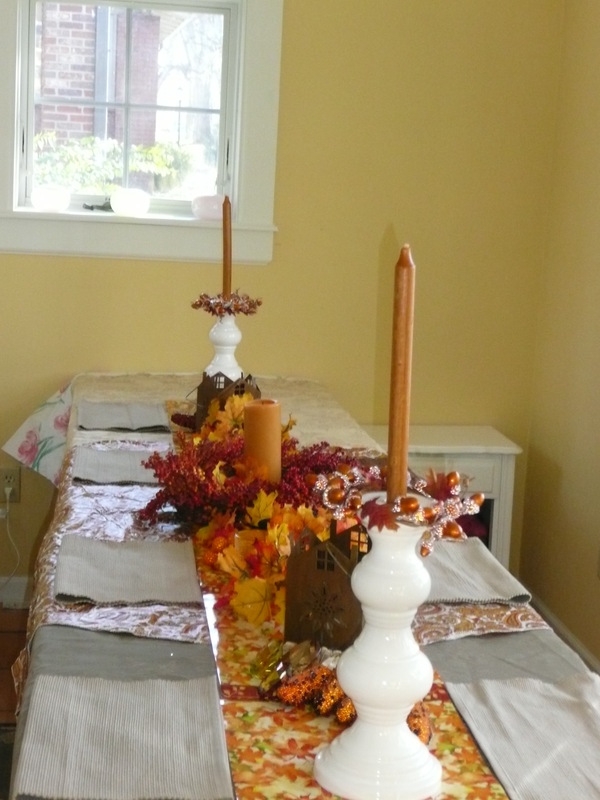 I was very discouraged and never really wanted to host Thanksgiving again. This year I was determined to make it different! I invited my entire family came over early in the day so they could help cook. This time everyone felt involved. My mom got to decorate my house and help cook here and there. 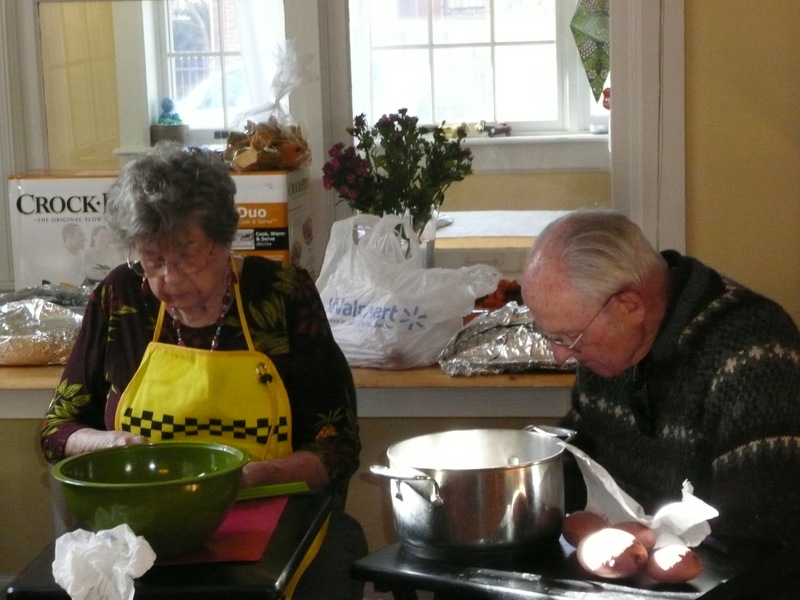 My grandma go to make her candied sweet potatoes and stuffing, and my grandpa got to peel all the mashed potatoes. 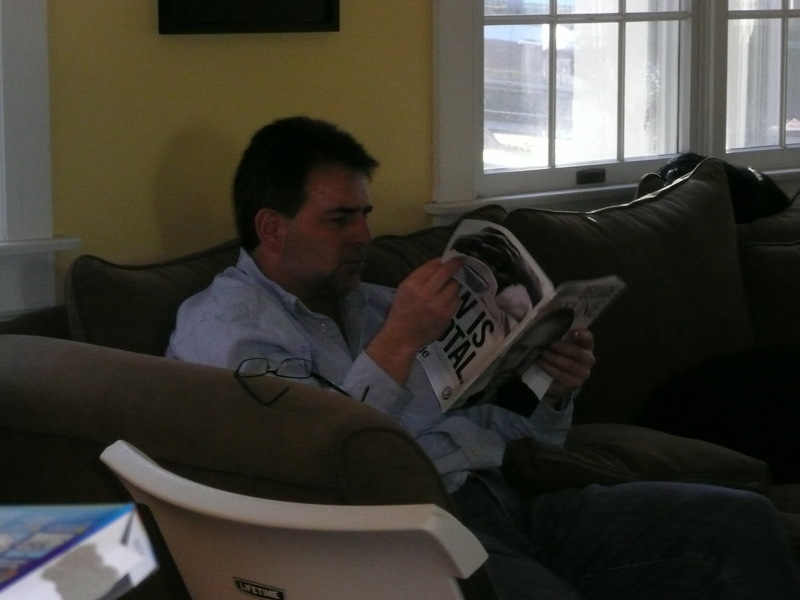 My dad even got in some really good reading time. We also had a new addition to our Thanksgiving this year. Our dinner would not have been successful without her. She figured out how to move the racks in my oven. She was such a great sport. She helped out wherever she was needed. As she said it, she had never heard her name so many times. I’m so glad she was here this year to spend Thanksgiving with my family. The things I was most grateful for this year were spending the day withe people I love, enjoying an absolutely amazing gluten free dinner and having my family take part in cooking the meal. 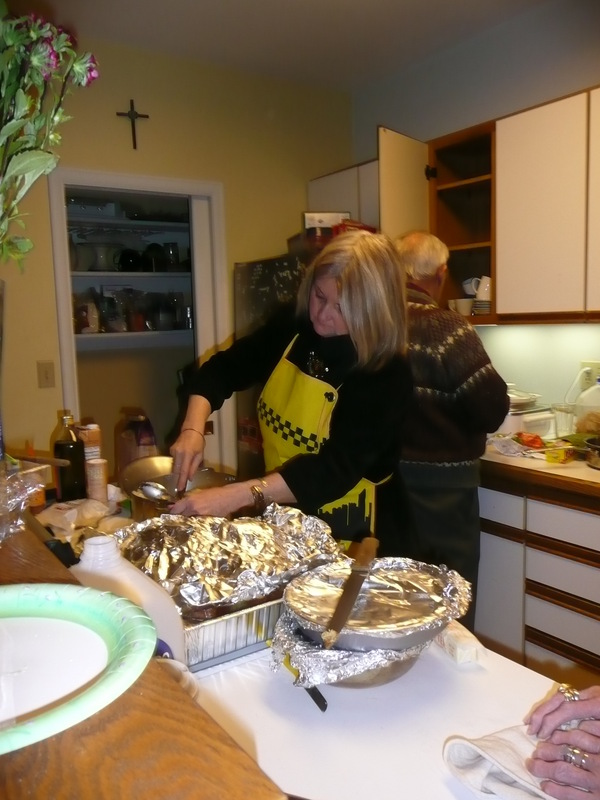 Last year was my first time cooking Thanksgiving dinner for my whole family. It was ok, but I felt like a lot was missing. It was not like our normal Thanksgiving dinners. So this year I am committed to cooking food that tastes like real food. As I get closer to Thanksgiving I will post recipes to these as I find them. If anyone has any recommendations for any of these recipes that would be awesome. I absolutely love zucchini. I eat it almost everyday. After a while I began to get bored with all my zucchini recipes so I went in search of new idea. I have finally figured out how to make zucchini cakes, and they are AMAZING! Put the zucchini, onion, salt, pepper, cheese, and egg in a big bowl. Mix them, then add the flour. Depending on how big the zucchinis are you may need to add the extra egg and the extra 1/2 cup of flour. Like I said, you want the mix pretty thick. Try and make the patties pretty flat, rather than round before you drop them into the oil to fry them. They cook more evenly this way. Spoon in a few patties at a time, fry until golden brown, then let them cool and drain. I squeeze lemon onto them, you could always eat them with ranch dressing, or some other sort of dressing.